This document summarizes the finding of the project to gain an understanding of the circumstances that positively and negatively impact the use of traditional foods in First Nations’ and off-reserve early childhood programs. 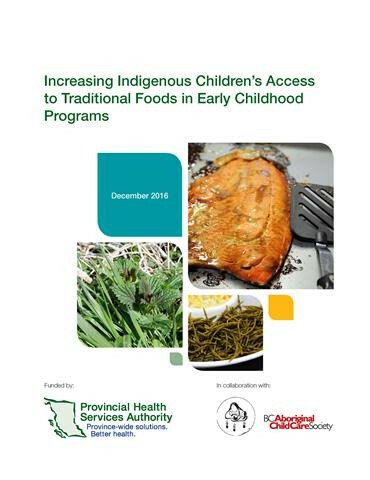 The purpose of this project was to gain an understanding of the circumstances that positively and negatively impact the use of high-protein traditional foods in First Nations’ and off-reserve early childhood programs for Indigenous children from birth to age six. This book describes how the Cree, Dene, and Metis people living in Canada’s northwest boreal forest region have traditionally used plants as food, medicines, and materials for handicrafts, technology, and ritual practices.